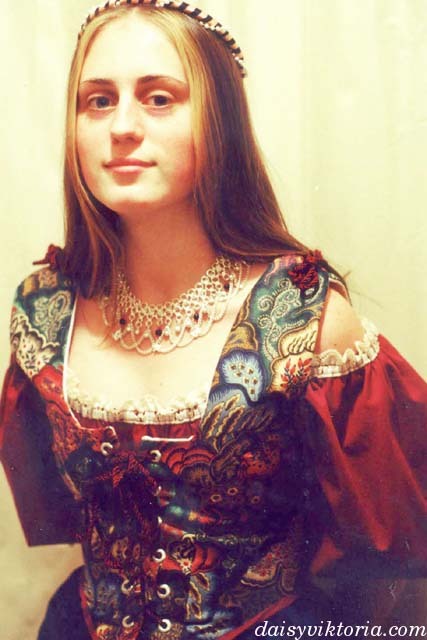 This was the first outfit I made specifically to wear to Renaissance Faires many years ago. 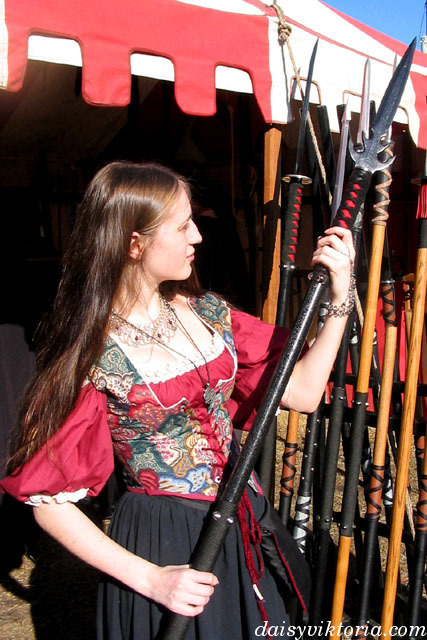 The style is based on historical clothing, but I was more interested in just making something I liked at that point, and I followed the Renn Faire trends more than anything. 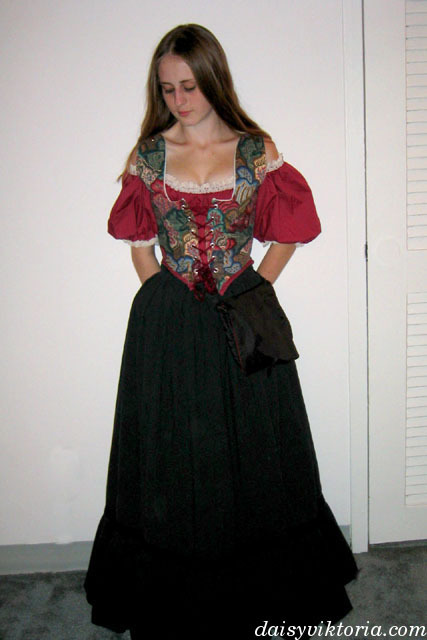 The bodice is lined with sturdy support materials, somewhere in between what I now use for regular bodices and corsets.